The manufacturing world is being rapidly revolutionized by all different kinds of automation, from 3D Printing to collaborative robots. Most firms understand that now is the time to incorporate some form of automation into their operation before their competitors gain the upper hand, but not all have enough liquid capital to finance a robotic upgrade. For this reason, cobot leasing is an industry game changer. What makes cobots different than their larger, heavier industry robotic counterparts are primarily their smaller size, gentler gripping, and enhanced safety while functioning near and alongside humans. As a matter of fact, these people-friendly advantages are causing cobots to pop up in industries far outside manufacturing, from offices to hospitals, in order to make other tasks easier and safer for the human workforce. 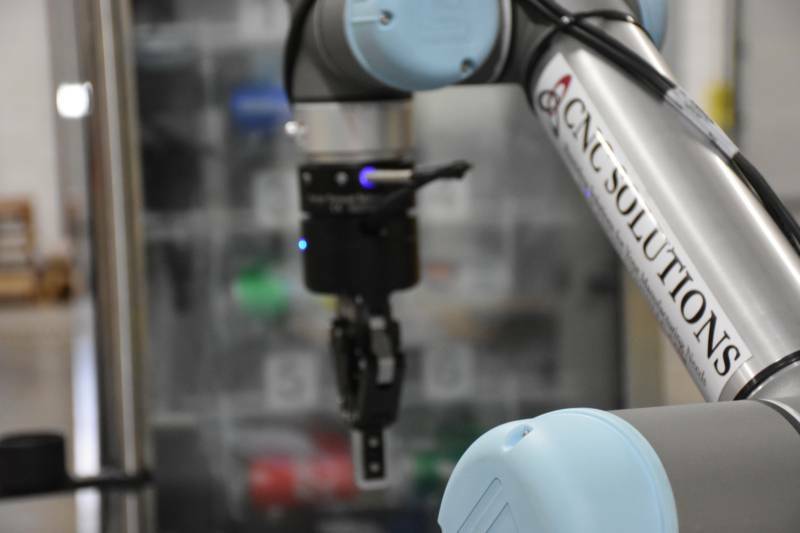 Likewise, cobots utilized for manufacturing work are easier and generally less expensive to integrate, which often makes them the first choice for business looking to automate their processes. However, even with the reduced price tag, purchasing a cobot outright can still be difficult to budget for. Less burdensome solutions like cobot leasing programs can help alleviate such financial woes, and could be the ideal solution for smaller manufacturers. In particular, companies that don’t want to navigate bank financing for a cobot purchase could use cobot leasing as a way to work around going through the process of obtaining a business loan. Some cobot leasing opportunities also allow for increased flexibility, which may be better suited to business that experience dramatic fluctuations in workflow throughout the year. Cobot leasing programs are relatively new, and we’re proud to be among the first to offer leasing as a potential solution to our customers. We offer cobots produced by Universal Robots, the industry’s top cobot manufacturer. There are two main leasing models. While some companies allow you to “hire” a cobot similar to the way we hire employees, there are significant limitations. Because this is inherently temporary, full integration into your facility is unlikely. As we know, cobots do require employee training and should include appropriate risk assessment, and that may be difficult to execute efficiently for such a short term engagement. The lessor pays by the hour for temporary deployment periods, usually up to four weeks at a time. During that time, a minimum hourly commitment is typically required, even if production is not what you initially anticipated. This option may work for customers that do not need a cobot indefinitely, or only require them for specific times during the year when output demands exceed current capacity, but will not provide long term solutions. The program CNC Solutions offers is inherently different; it is a long-term solution that is fully integrated in your facility. This allows us to customize your cobot with gripping technology according to your specific needs, and allows for businesses to fully upgrade and optimize output indefinitely. We never send a robot to any facility without proper risk assessment; we ensure our solutions work for you. Our cobot leasing program is designed for companies that want a permanent automation solution for less upfront cash. If leasing a cobot sounds like something you’re interested in learning more about, connect with one of our automation experts via our Contact page or chat box. Whatever your automation needs are, our engineers are here to guide you in the right direction.